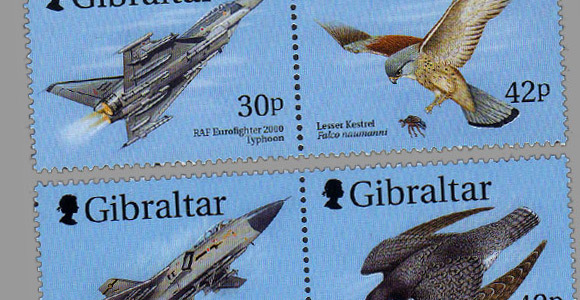 The first in the Wings of Prey series issued by Gibraltar. (The Best Sellers section holds the other two issues). The idea is to depict warplanes alongside their counterparts in the animal kingdom. This issue depicts the RAF GR7 Harrier II alongside the Kestrel; the RAF Eurofighter 2000 Typhoon alongside the Lesser Kestrel and the RAF Tornado F3 alongside the Perergrine Falcon.